Do not. Approach. The Dog Park. But it is so much more than that. The warm and soothing voice of Cecil Baldwin, as he narrates the NPR style ‘public broadcast’ of the comically frightening happenings in the town of Night Vale,lulls listeners into a world that is eerily not so different from their own. Except for the fugitive five headed dragon, wanted by the Sheriff’s Secret Police. Speak to Officer Ben if you have any information regarding his whereabouts. In case you could not tell, I have been listening to quite a few episodes as I have run this past week. This makes for a very calm experience where, I have found my only concern now seems not to be how tired I am, but rather that I need to refrain from bursting into what would appear to the runners nearby as spontaneous laughter. Losing myself in this particular podcast is a somewhat dangerous practice though, as I tend to want to run longer distances than I have plotted out for that day, simply to listen to more of Cecil’s intoxicatingly relaxing voice that could make even Ira Glass impressed. You should go and listen to it right now. No one makes a Podcast like Welcome to Night Vale. No one. In other news, another epic year of Journey To The End Of The Night (JTTEOTN) is almost upon us. 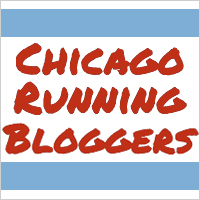 This Saturday, after Race to Wrigley warms me up that morning; I join hundreds of others in a struggle for survival as we race from one part of Chicago to another. The ‘race’, which is more like a city-wide, life and death game of tag, is the highlight of my year, and one of the main reasons I took up running. To survive, or at least to remain among the living a bit longer before joining the terrifying Horde of ‘Chasers’ that relentlessly pursue the participants to the ends of the Earth…or at least Chicago. This is a free and public event. If you feel like your speed work has been working out for you in your training this year, test out your speed and endurance by showing up for this year’s Journey To The End Of The Night. Happy hunting. Never knew about the JTTEOTN! Sounds fun! But I haven't done intervals in about a month, I would end fast! JTTEOTN is incredible! Don't let the speed work talk you out of trying Journey, it is an incredible experience just to participate. Some people run it like a race, others huddle together for camaraderie and sprint when necessary in every direction, some stick to the side streets and shadows. Great times.